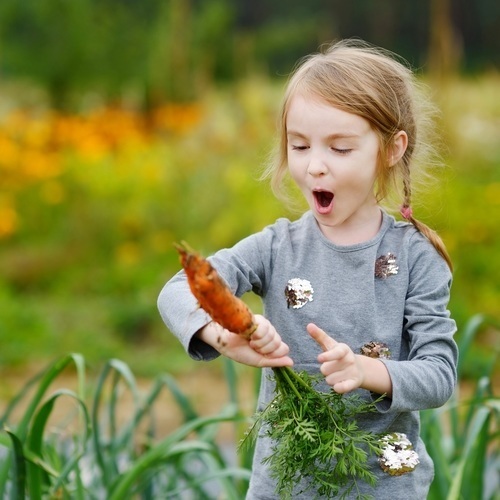 Grow Veggies at Home - J. Lyn Signature Properties, Inc.
Have you put off growing your own vegetables at home because you think it will be too difficult, time consuming or messy? Do you worry that you don’t have enough space? Do you think you have a black thumb and nothing will grow? Starting your own home garden is easy, even if you have no experience and are short on space. If you love the idea of eating more vegetables, especially ones you’ve grown yourself, this is what you’ll need to know to get started. You may have visions of turning your entire backyard into an edible paradise, but if you’re just starting out you may be biting off more than you can chew. Start small and get the hang of it; you can always add more later. You can save even more room by using trellises to grow vining vegetables like cucumbers and squash. If you have several places in your yard where you could conceivably put a vegetable garden, choose the location that gets the most sun. This will give you the opportunity to grow the greatest variety of vegetables. But don’t worry if you lack a sunny spot – there are plenty of vegetables that can thrive in the shade. By far the easiest way to get started with home vegetable gardening is to build or install raised beds. Yes, you can dig up your backyard, but it can be back breaking work. You’ll also need to amend the soil and you’ll likely be battling weeds for a long time to come. By using raised beds, you start with the best possible soil that is free of weeds. If you’re handy with power tools, you can build your own raised beds, or simply use containers you find like washing tubs or pots. This means you can have a veggie garden even if you don’t have a yard – most patios or balconies have enough room for even a few, which is enough to grow tomatoes and a variety of herbs. You’ll want to ensure that your new garden gets plenty of water, and a good rule of thumb is about one inch of moisture per week. You may want to consider installing a drip irrigation system, which automates the watering process and delivers maximum water with minimum evaporation or run-off. Check each vegetable and herb that you are planting to see what kind of temperatures they need and how much sun they can handle to find out what will thrive in your location. If you’ve been thinking about starting your own vegetable garden, now is a great time! Just think how wonderful it will be to bite into your own vine-ripened tomato, just picked and warm from the sun.